In a hot saucepan over a medium heat, combine red peppers, onion, oil and butter; saute for 2 minutes. 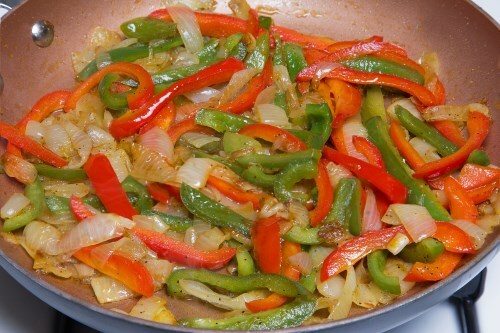 Reduce heat to medium-low and continue cooking, stirring occasionally, until the onions and peppers soften. If desired, stir red wine into the vegetables and cook until the wine evaporates; approximately 30 minutes. Season with salt, pepper, and basil.